We're shifting our source version control system from SVN to GIT. Now I'm trying to clone ivy projects into my workspace, but it seems like there is no GIT team-provider. Only SVN is provided out of the box. Is there any way to use GIT anyways? There is a pre-configured which provides the yet best compatiable version of E-GIT. And E-GIT is a GIT team-provider for eclipse. 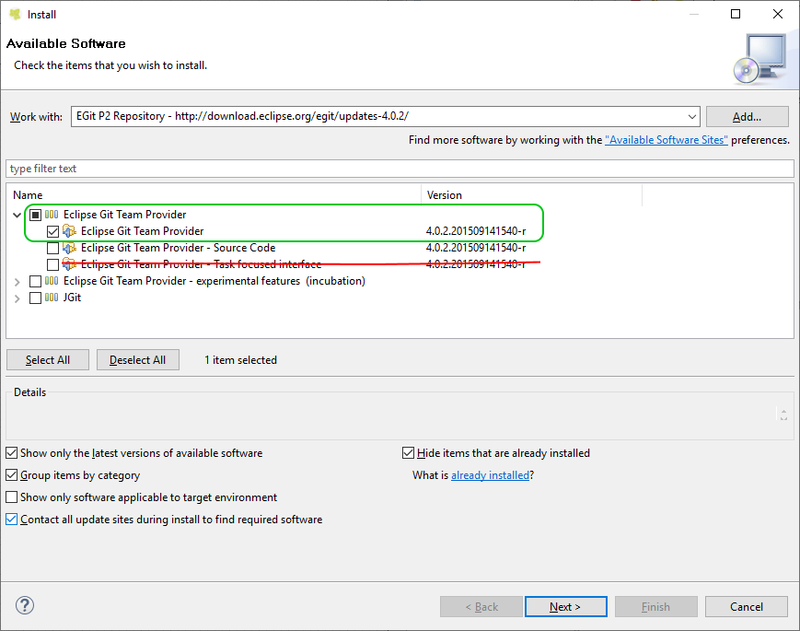 If you install "Eclipse Git Team Provider" ensure that you only install "Eclipse Git Team Provider" but not "Eclipse Git Team Provider - Task focused interface". Otherwise SOAP Request and Responses are no logger logged to the runtime log. Can I avoid 'Unexpected subelement' errors when the service-provider introduces new properties?